Federal Reserve Vice Chairman Stanley Fischer said weaker-than-expected global growth could prompt the U.S. central bank to slow the pace of eventual interest-rate increases. “If foreign growth is weaker than anticipated, the consequences for the U.S. economy could lead the Fed to remove accommodation more slowly than otherwise,” Fischer said in speech today in Washington. Fischer, 70, said the Fed won’t raise rates until the U.S. expansion “has advanced far enough,” and most emerging markets should be able to weather the increase. Fischer’s remarks highlight growing concern among U.S. central bank officials about the impact of a global slowdown and a strengthening dollar. He spoke to central bankers and finance ministers gathered in Washington for the annual meetings of the World Bank and International Monetary Fund. The Fed’s policy making body last month expressed concern that weak demand, particularly in Europe, could add to the dollar’s appreciation, hurting U.S. exporters and damping inflation, according to minutes released Oct. 8. The International Monetary Fund this week reduced its forecasts for global growth in 2015 and warned about the risks of rising geopolitical tensions and a financial-market correction as stocks reach “frothy” levels. Most Fed officials expect to raise the benchmark interest rate some time next year, according to projections released on Sept. 17 following their last meeting. Traders see about a 33 percent chance the Fed will raise the benchmark rate by its July 2015 meeting, down from a 59 percent on Sept. 18, fed funds futures data compiled by Bloomberg show. “Tightening should occur only against the backdrop of a strengthening U.S. economy and in an environment of improved household and business confidence,” Fischer said. 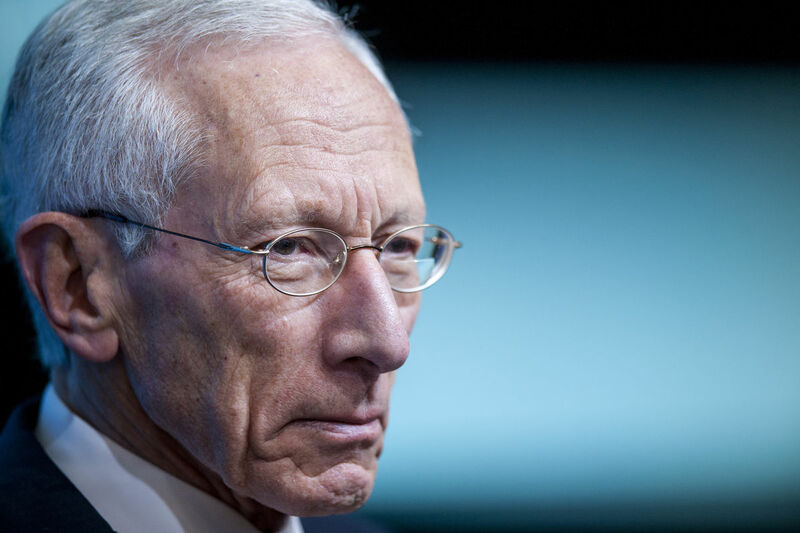 Fischer, the former head of Israel’s central bank, said the Fed is cognizant of the impact its monetary policy decisions on the rest of the world. He cited last year’s “taper tantrum,” when global stocks fell after then-Chairman Ben S. Bernankesaid the Fed would soon start slowing the pace of asset purchases. “Strong and stable U.S. growth in the context of inflation close to our policy objective has substantial benefits for the world,” he said. Fischer said emerging-market countries have improved their preparedness for higher rates in the U.S. by reducing inflation, improving debt levels, building foreign reserves and better regulating their financial systems. He said foreign economies should also benefit from improved communication from the Fed. “The Federal Reserve will promote a smooth transition by communicating our assessment of the economy and our policy intentions as clearly as possible,” he said. The world economy will grow 3.8 percent next year, compared with a July forecast for 4 percent, after a 3.3 percent expansion this year, the IMF said. The euro area will grow 1.3 percent next year, slower than the 1.5 percent predicted in July.